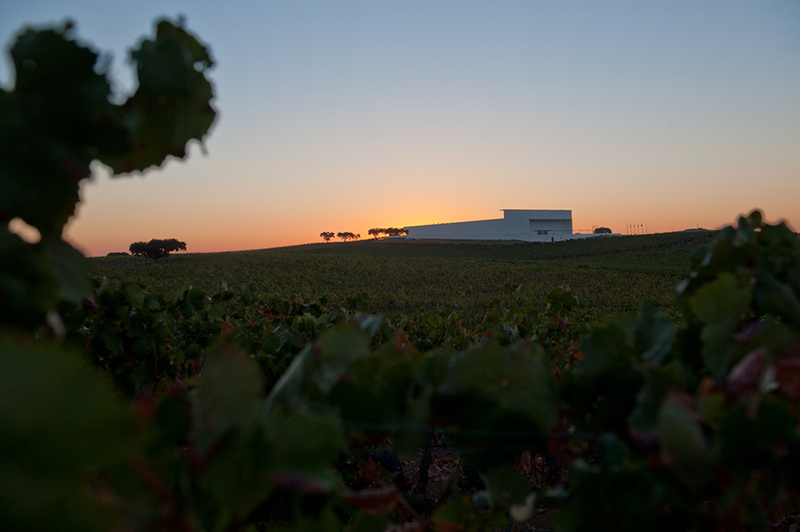 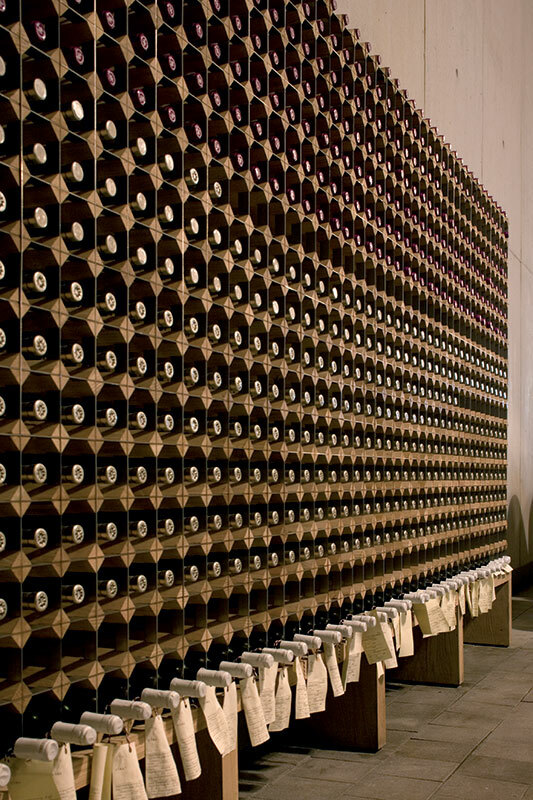 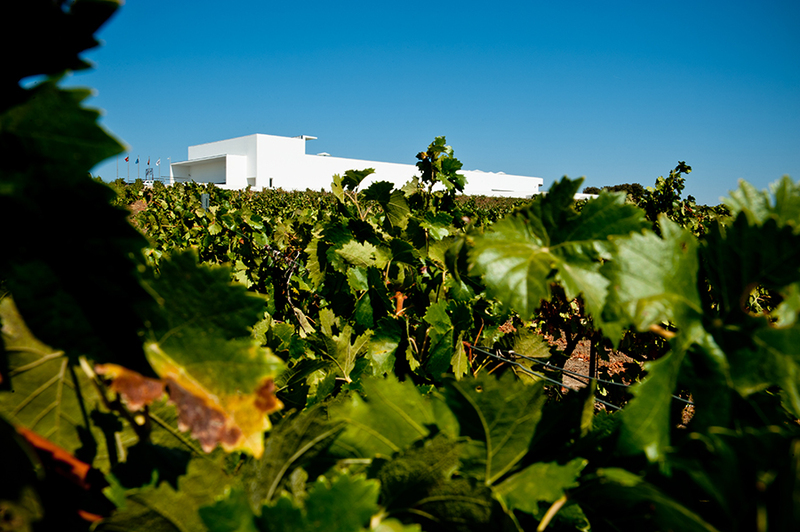 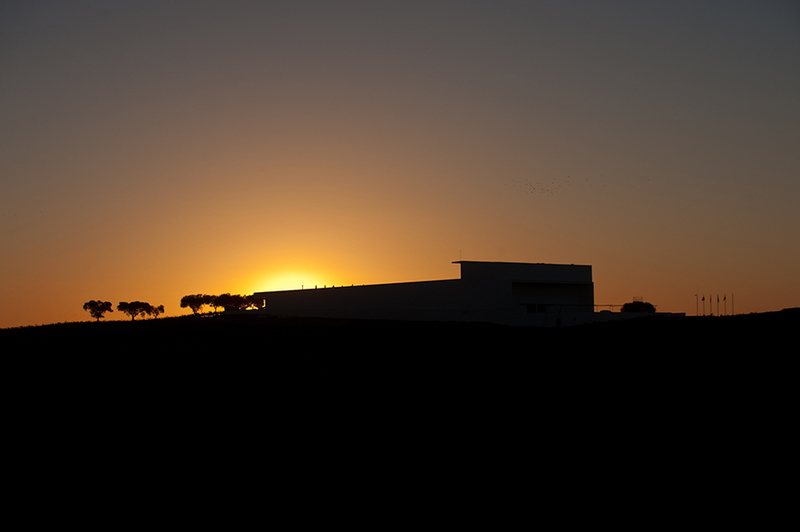 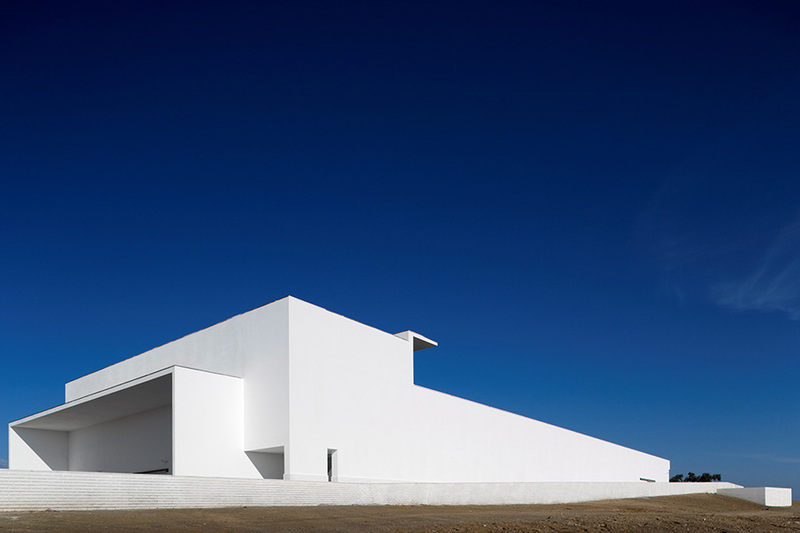 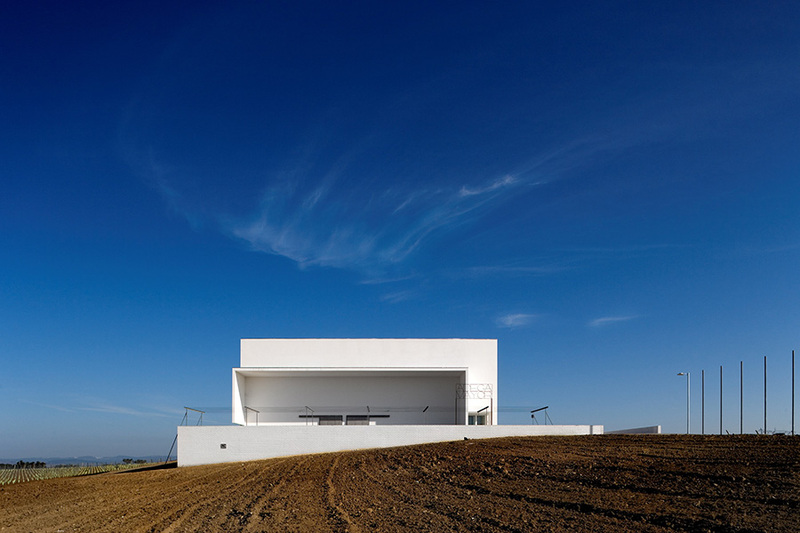 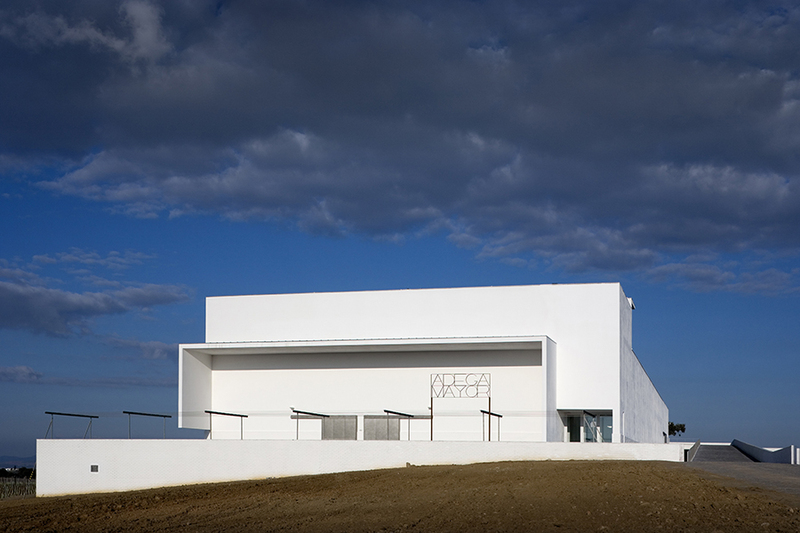 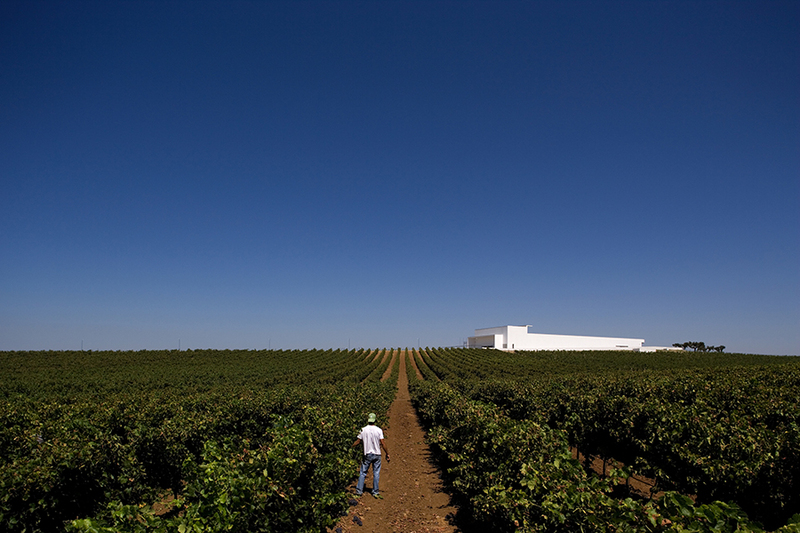 In the beautiful and untouched landscape of the Alentejo plain in Campo Maior, Siza Vieira erected an original building, a horizontal construction, painted in white and divided in two floors longwise, with a third floor intended for tourism and promotion of the Adega Mayor wines. 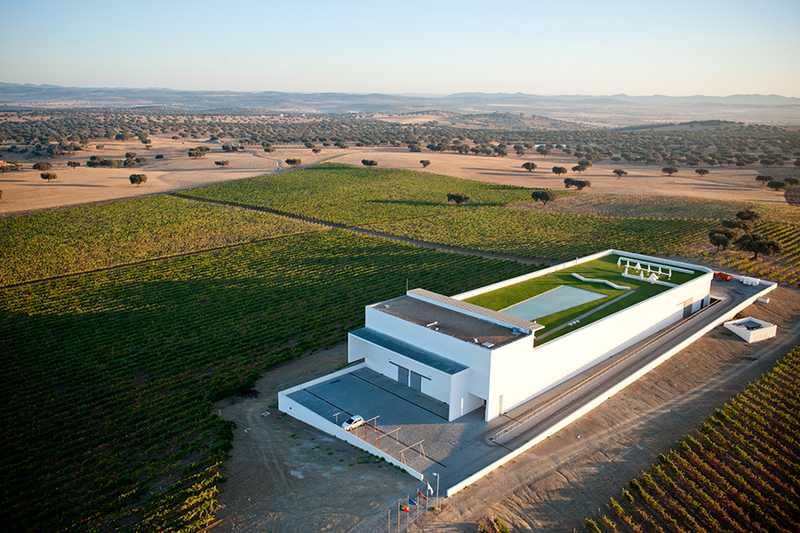 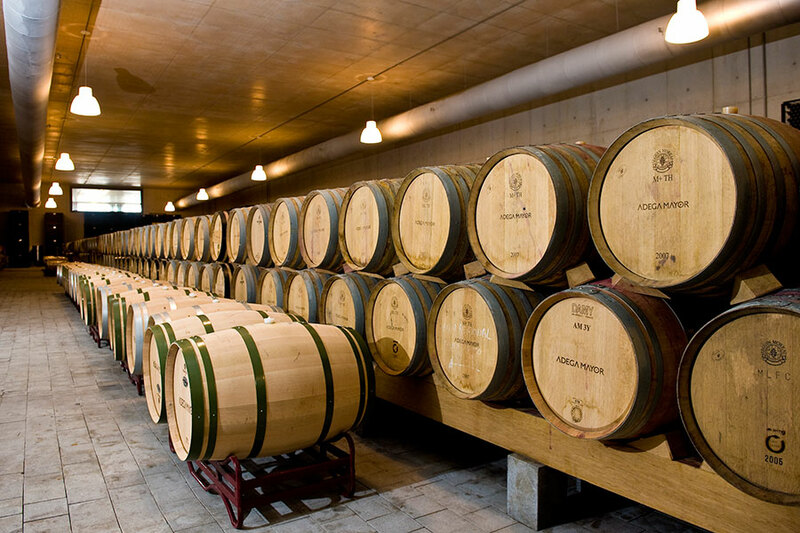 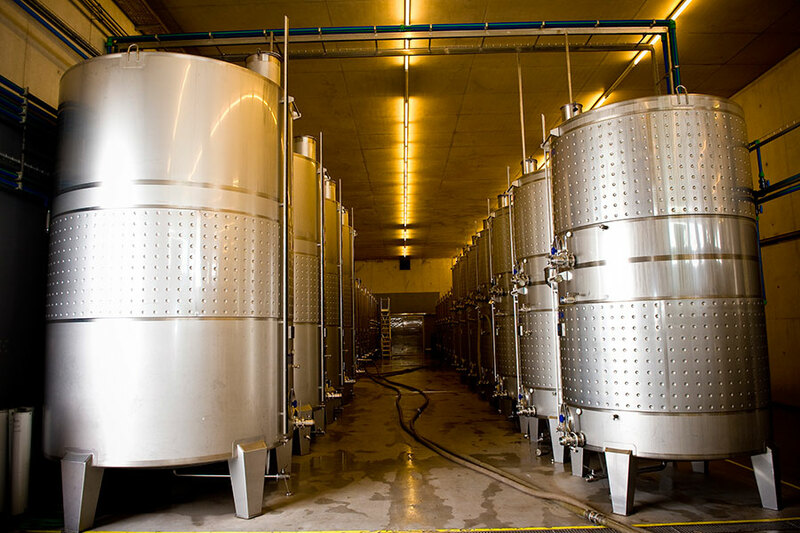 The calmness arising from this simple construction contrasts with the complexity housed within, where monumental areas intended for production and storage go hand in hand with the social areas, designed for tasting and enjoying the wine. 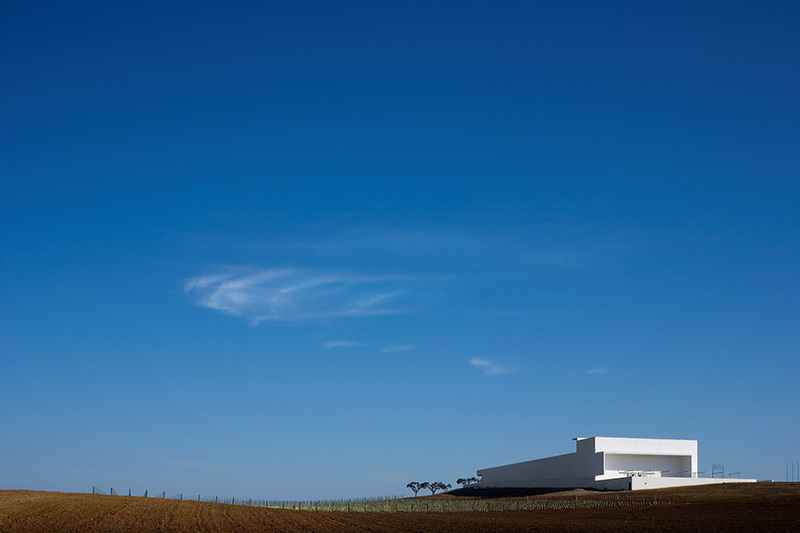 The 40×120 m rectangle of the winery is founded on the existing cavity and 9m walls stand tall from there. 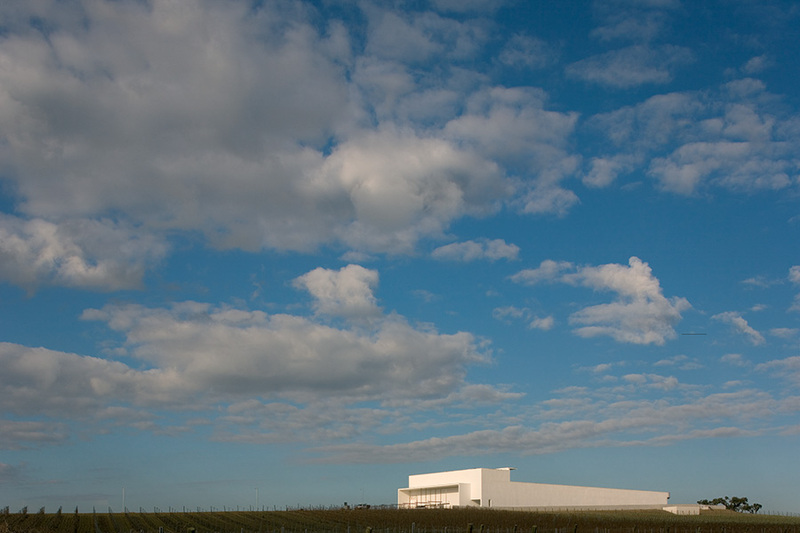 Access to the building is located at the southwest end. 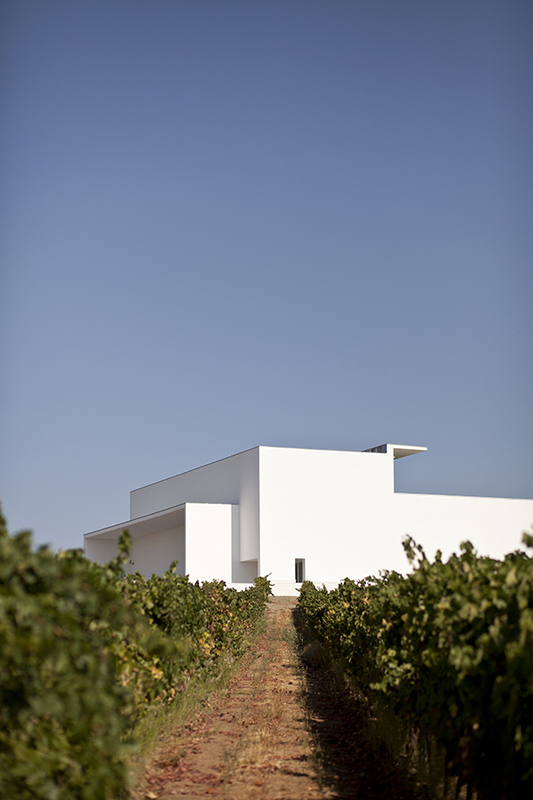 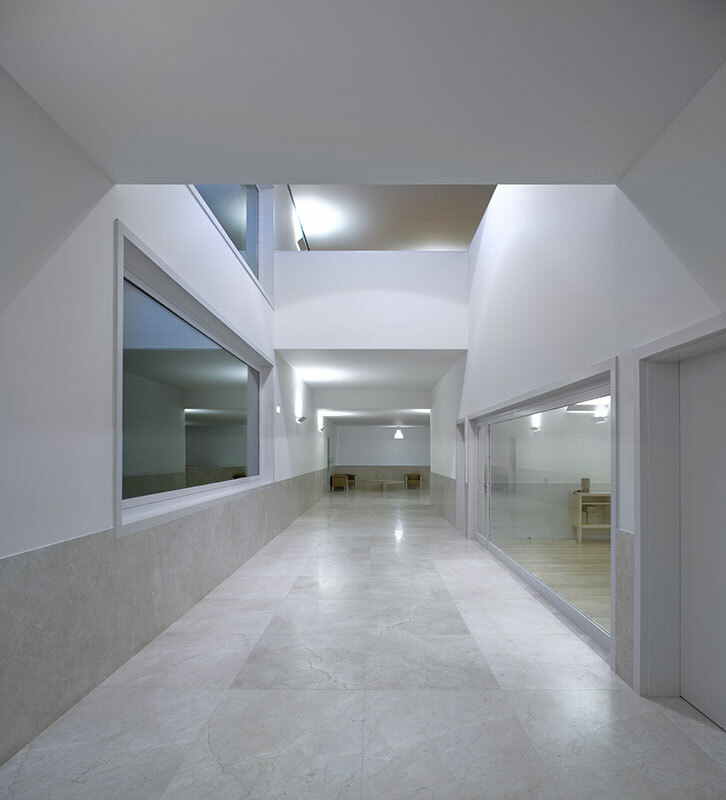 The architect Siza Vieira reserved the upper floor for the social and public aspect of wine. 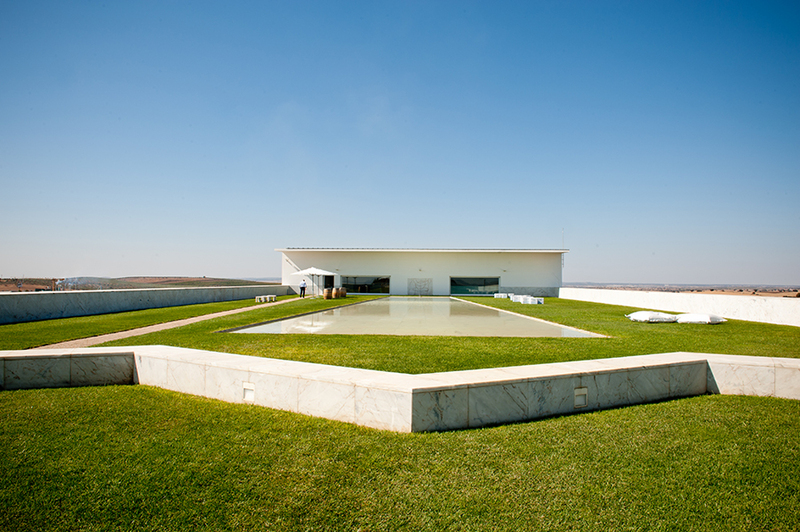 There, a tasting room was created, opening into a panoramic terrace with a lawn and a lake, headed by a sculpted marble panel, also designed by the architect, where the silhouettes of a coffee cup, a glass of wine and a bottle overlap. 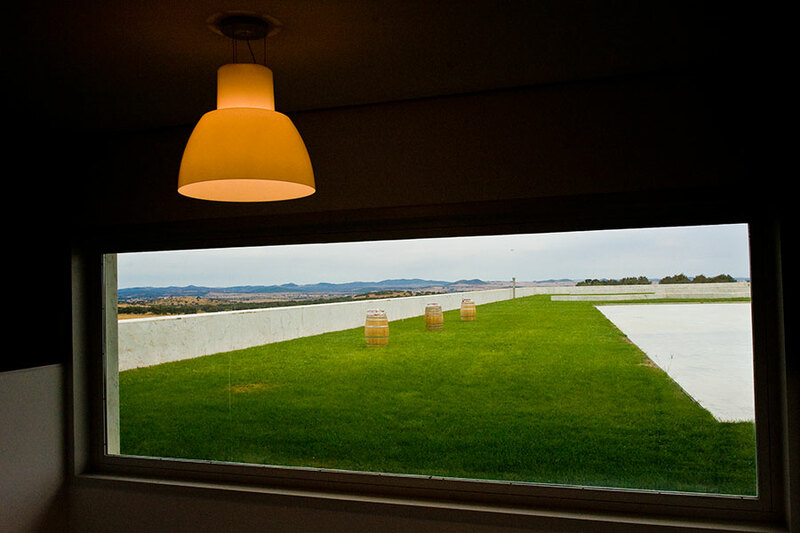 This panoramic terrace provides a view over the estate’s vineyard and the olive grove, extending further to Spain and the Serra de Portalegre.